This year’s cohort of Marshal Papworth short course students were treated to an example of conservation agriculture at its best at the 3000 acre Courteenhall Farms, Courteenhall, Northamptonshire, where farm manager Charlie Reynolds, pairs precision agriculture with conservation to work towards the enterprise’s aim of excellence in business and environmental biodiversity. The farm also contract farms a further 1,200 acres including the Reynolds family farm at Brigstock. The students, who are currently in the last month of their 10 week practical agricultural course at Moulton College, Northamptonshire, saw first-hand how conservation practices as part of a Mid-Tier agri-environmental agreement, can combine different elements of estate enterprises to increase worm numbers, reduce soil compaction, increase water percolation, encourage native wildlife and increase yields and therefore productivity. 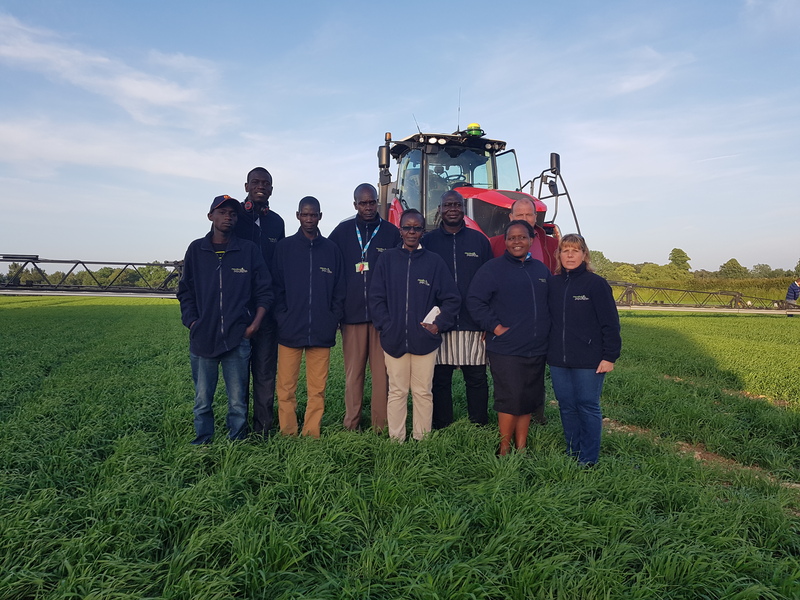 This year’s short course students at Moulton College are amongst the 184 students that the Marshal Papworth Fund has supported to date, equipping them with practical and sustainable agricultural solutions to enable communities in developing countries in growing themselves out of hunger. In order to continue these opportunities for students from the developing countries and benefit more communities, the charity relies on donations from individuals and businesses. To find out more and to make a donation contact Sandra Lauridsen on 01733 363514 or email slauridsen@eastofengland.org.uk for more information.